Featured amenities include a computer station, complimentary newspapers in the lobby, and a 24-hour front desk. A roundtrip airport shuttle is provided for a surcharge (available 24 hours), and free valet parking is available onsite. Grab a bite at Gourmetrestaurant Kupfers, one of the hotel's 3 restaurants, or stay in and take advantage of the 24-hour room service. Wrap up your day with a drink at the bar/lounge. A complimentary hot/cold buffet breakfast is served daily from 7:30 AM to 10:30 AM. Featured amenities include limo/town car service, a computer station, and express check-in. 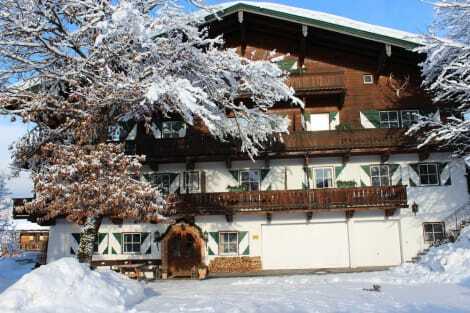 Planning an event in Kitzbuehel? This hotel has facilities measuring 377 square feet (35 square meters), including a meeting room. For a surcharge, guests may use a roundtrip airport shuttle (available 24 hours) and a train station pick-up service. Featured amenities include express check-in, express check-out, and complimentary newspapers in the lobby. A train station pick-up service is provided at no charge (available on request), and self parking (subject to charges) is available onsite. Wrap up your day with a drink at the bar/lounge. A complimentary buffet breakfast is served daily from 7:30 AM to 10:30 AM. Next to the Kitzbüheler Horn Cable Car, the family-run Pension Rainhof is just a 3-minute walk from the centre of Kitzbühel. It features a TV lounge, a ski storage room, and a big garden. Free private parking and free Wi-Fi are available on site. The Tyrolean-style rooms feature wooden floors, a seating area, and a bathroom. During summer months, fresh fruits and vegetables from the onsite garden are served. The ski bus to the Hahnenkamm and other ski areas stops 100 metres from the Rainhof. Kitzbühel Train Station is 300 metres away, and Kitzbühel Golf Course is 1 km away. When you stay at Landsitz Römerhof in Kitzbuehel, you'll be next to a golf course, within a 10-minute walk of Kitzbueheler Horn Ski Area and Kitzbueheler Horn Cable Car. 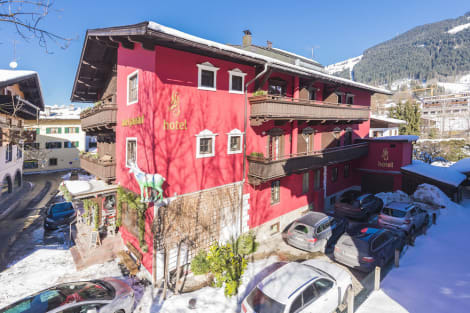 This 4-star apartment is 0.8 mi (1.3 km) from Kitzbuehel Church and 0.8 mi (1.4 km) from Hahnenkamm Ski Area. Enjoy a meal at the restaurant or snacks in the hotel's coffee shop/café. Wrap up your day with a drink at the bar/lounge. Enjoy international cuisine at Buffetrestaurant Streif, one of the hotel's 2 restaurants, or stay in and take advantage of the room service (during limited hours). Relax with your favorite drink at the bar/lounge or the poolside bar. A complimentary hot/cold buffet breakfast is served daily from 7:30 AM to 11 AM. 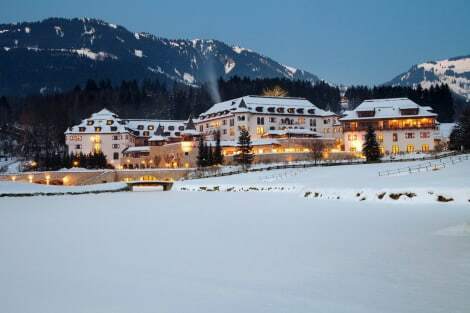 A stay at Zur Tenne Hotel places you in the heart of Kitzbuehel, steps from Hahnenkamm Ski Area and 3 minutes by foot from Kitzbuehel Church. 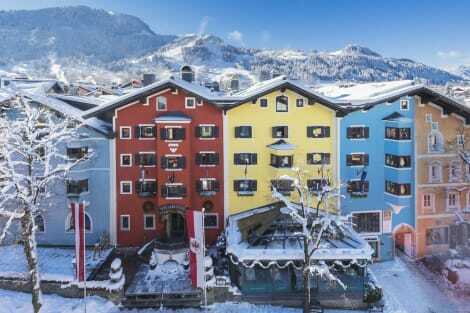 This 4-star hotel is 0.2 mi (0.4 km) from Aquarena Kitzbuehel and 0.3 mi (0.5 km) from Hahnenkamm Cable Car. lastminute.com has a fantastic range of hotels in Kitzbuehel, with everything from cheap hotels to luxurious five star accommodation available. We like to live up to our last minute name so remember you can book any one of our excellent Kitzbuehel hotels up until midnight and stay the same night.